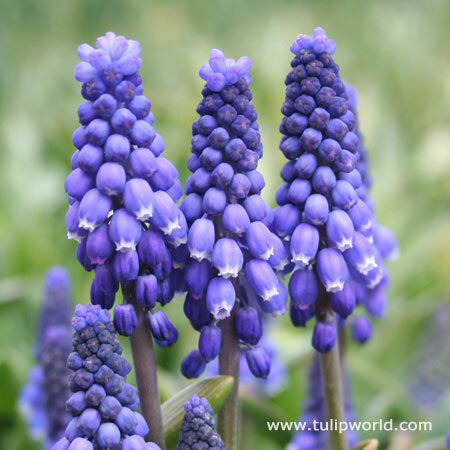 Grape Hyacinth bulbs are fragrant, low growing, blue flowers that bloom in mid spring. 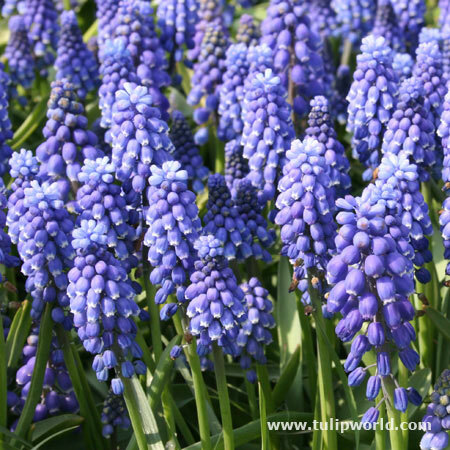 Plant muscari bulbs in fall for blooms in spring. To create the best look, we suggest planting in large groups of 25 or more bulbs per planting area. Grape hyacinth can be planted in your lawn, or naturalized in wooded areas or under trees. Find the best flower bulb value with our 100 bulb packs, perfect for landscapers and wholesale bulb purchases.